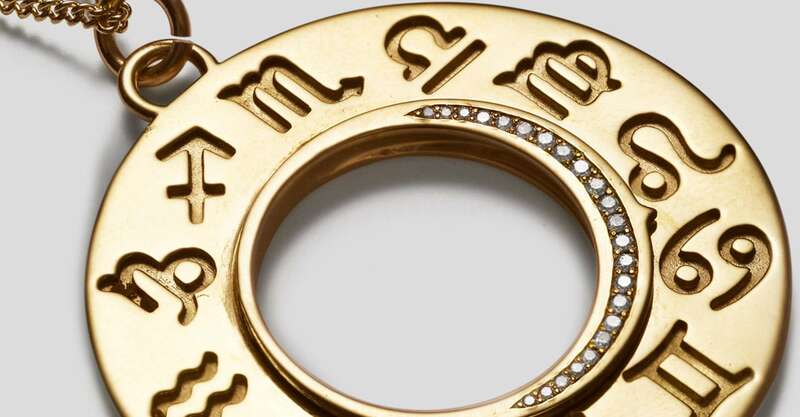 Heritage jeweller Heming has created a beautiful piece with us to wear your star sign with pride! With a mechanical crescent set with 23 stones which can point to any sign, this necklace is one of a kind. At the back, a hidden "star marks the spot" is the 24th stone, to be worn close to your heart and marking your sign secretly!